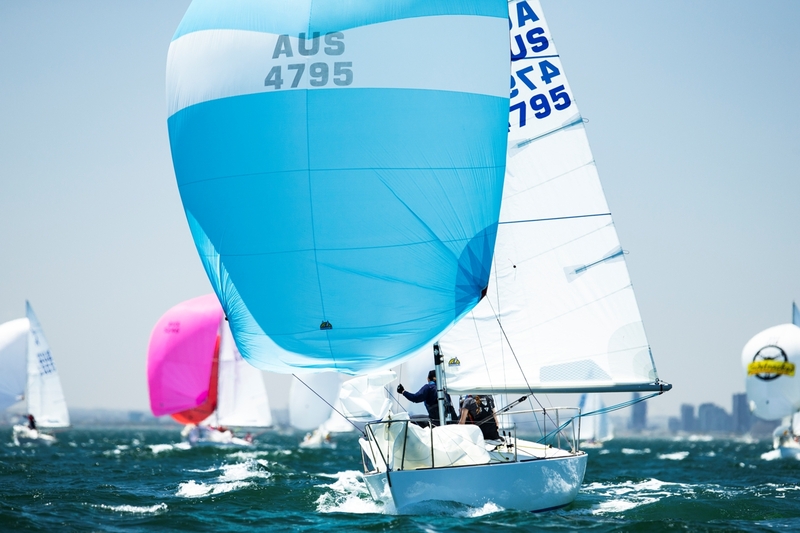 2010 Australian Championship – The final day! The commencement of the final day’s racing in the 2010 J24 Australian Championship saw NSW sailor Doug McGain sailing Code Violation one point ahead of Sean Wallis and his team from WA sailing Wetty Gripper, and with two races scheduled it was to be a battle to the end to decide this years Australian Champion. 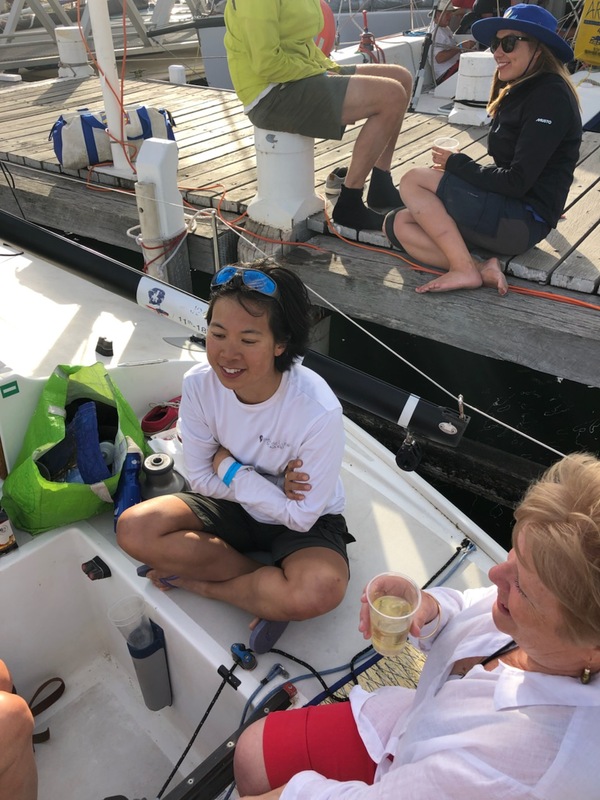 The forecast was for light winds and what little breeze there was faded as the fleet headed to the starting area resulting in a postponement in racing before a 10 knot Northerly filled in and race 9 commenced. With Wallis needing to beat McGain in both races to win the title neither crew let the other have any breathing space which saw both head off from the start and stay no more than a boat length apart up the first windward leg with McGain ahead of Wallis at the first mark. The downwind leg saw them split with Wallis down the right side of the course and McGain to the left. The right paid and saw Wallis round the leeward mark a boat length ahead but the battle continued and by the time the boats reached the windward mark the second time Wallis was third behind Alyn Stevenson (SA) and Sean Kirkjian (NSW) with McGain less than a boat length behind in fourth position. In the mean time the battle for third position overall was being played out between Hugo Ottway & David Suda both from Victoria. On the downwind leg to the finish Wallis once again headed to the right side of the course with McGain & Kirkjian to the left. At the finish line it was Alyn Stevenson first, winning his first Australian championship heat followed by Wallis, Kirkjian and McGain respectively. Going into the final race the tables had turned, Wallis now lead the championship with a one point lead from McGain while Ottaway had beaten Suda in race 9 to secure a two point buffer in third place. 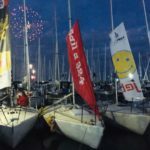 The final race saw McGain start at the boat end with Wallis about five boat lengths further down the line in the company of Suda. 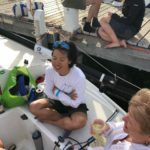 McGain tacked immediately after the start and headed to the right side of the course while Wallis and Suda sailed to the middle of the course before also heading to the right. Slightly better pressure saw Wallis and Suda come from the left and lead the fleet to the windward mark. The positions remained unchanged at the front of the fleet with Wallis finishing ahead of Suda with McGain third. 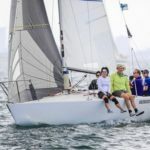 With Ottaway back in the fleet David Suda claimed third overall, Doug McGain second and Sean Wallis retaining his title with back to back championship wins. 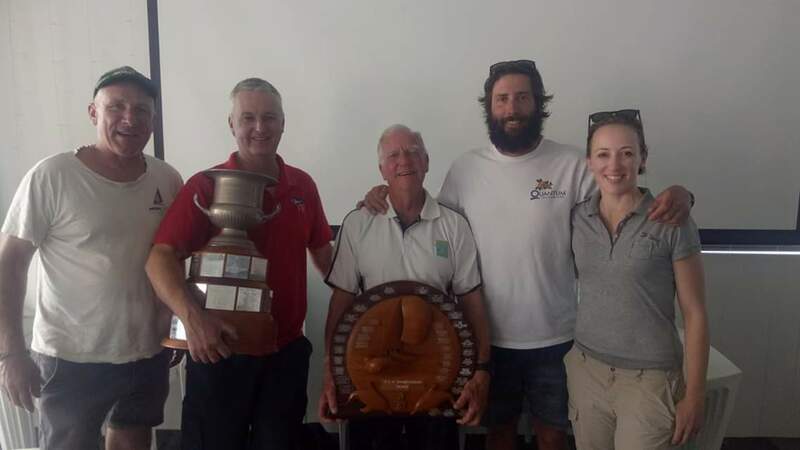 The handicap championship was won by Adam Evans and his youth team from Victoria sailing Two Dogs while the first female skipper was Kirsty Harris and her all female team from Victoria sailing Hyperactive. 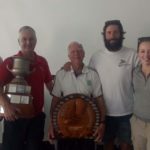 With a field boasting numerous state champions and four past Australian champions the competition was extremely fierce with any number of sailors in a position to win the championship. 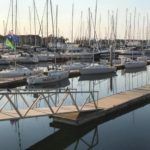 The Sandringham Yacht Club has recently built a new state of the art club house and the facilities are excellent. 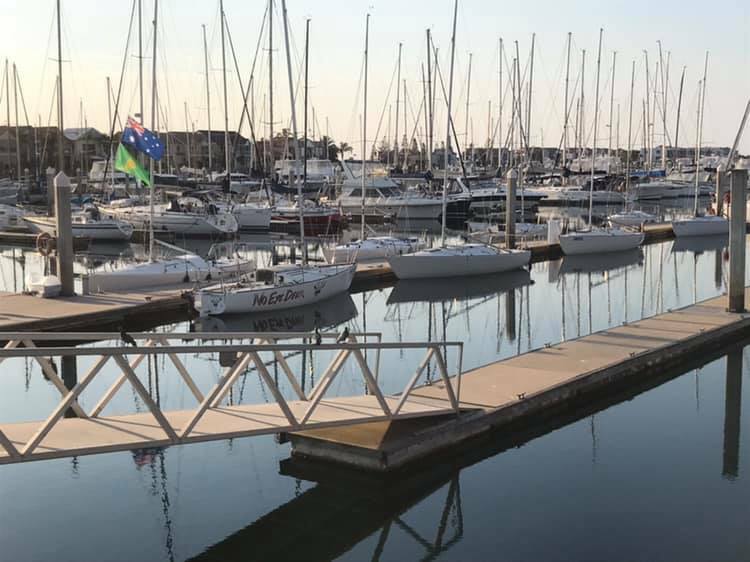 Along with a professional approach to race management by the race committee the club is one of the world’s best venues for yacht racing. 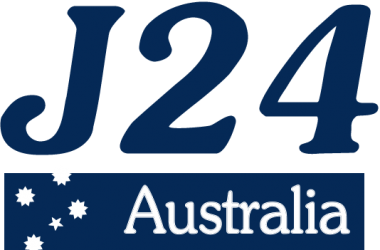 J24 Australia wish to thank the members and management of the SYC for their support in hosting this event. 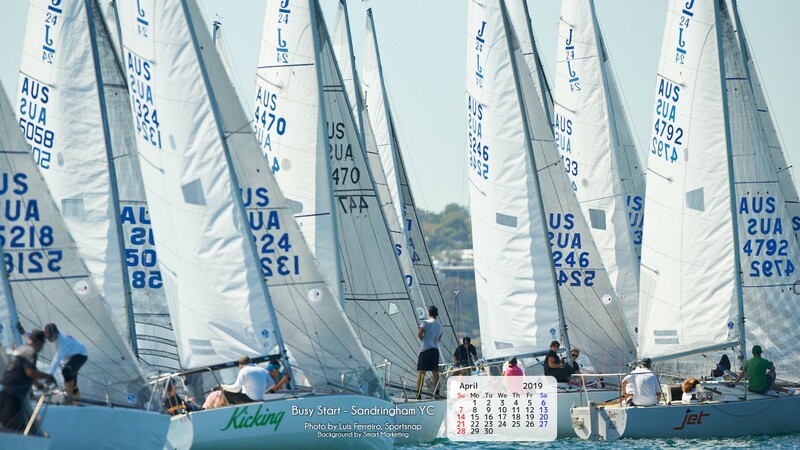 Next on the J24 calendar is the 2010 Asia Pacific Championship to be sailed in Adelaide in June 2010 and with the inaugural championship held in 2009, this years event is expected to be bigger and better and is to welcome sailors from Singapore, Korea, Japan, Australia and other countries in the Asia Pacific region. 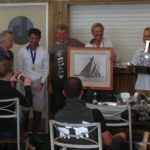 And I couldn’t let this one past, congrats to Kirj for his 3rd on h/cap – trophy should look nice on your lounge room wall!!! 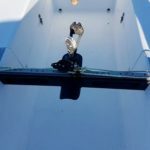 On a day where bad luck stories abound, Sean Wallis and his team on Wetty Gripper came home to win one of the closest and most hard fought titles for many years. 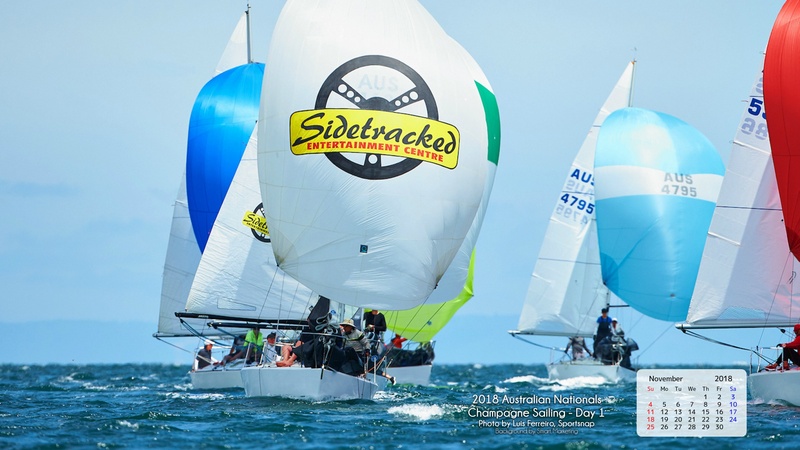 Doug McGain on Code Violation was bridesmaid and Dave Suda sailing Pacemaker third. Adam Evans and his youth team won the Handicap Title. 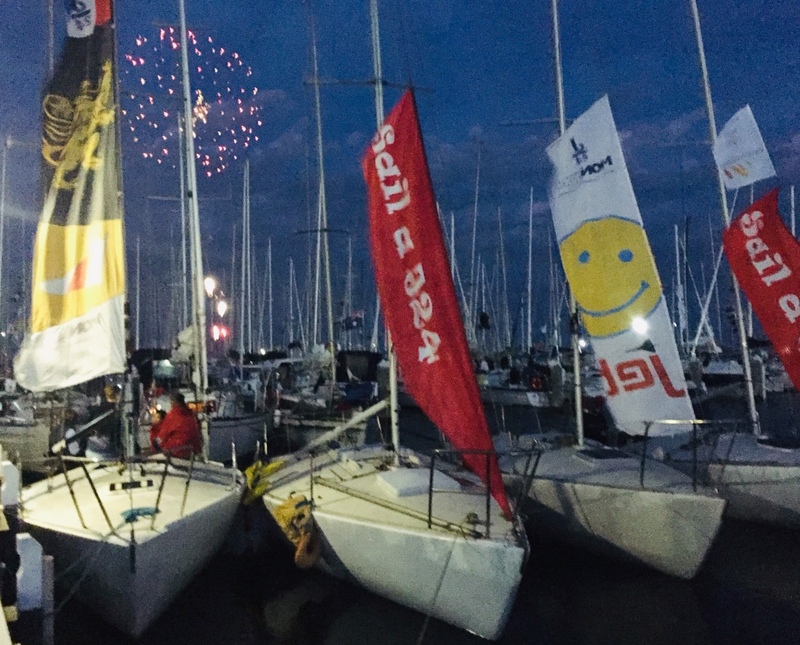 All agreed it has been fantastic regatta, great weather, great race management and a great social time. 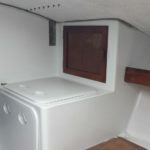 What a difference a day makes…………. In true one design tradition you can always rely on great a competition. 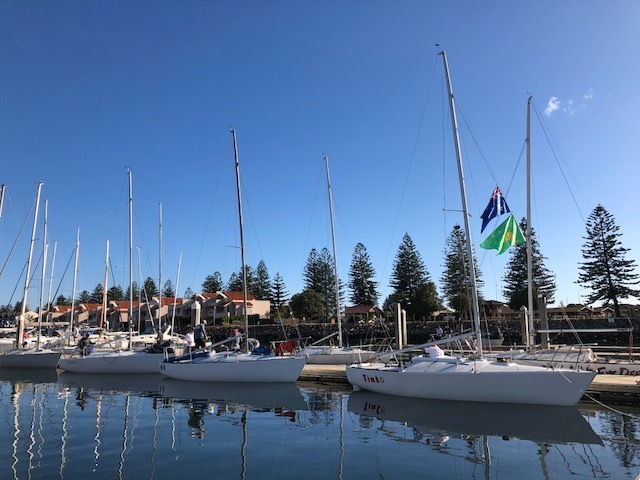 With only one days racing to go in the Australian J24 championships, there is only one point between first and second and one point between third and fourth. 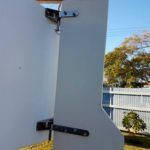 The current standings have Doug McGain NSW first 14 points, Sean Wallis W.A. second 15 points, Hugo Ottaway Vic third 22 points, Dave Suda Vic fourth 23 points and Sean Kirkjian NSW 32 points. McGain, Wallis, Ottaway and Kirkjian, are all Australian Champions, and Suda a runner up National Champion. 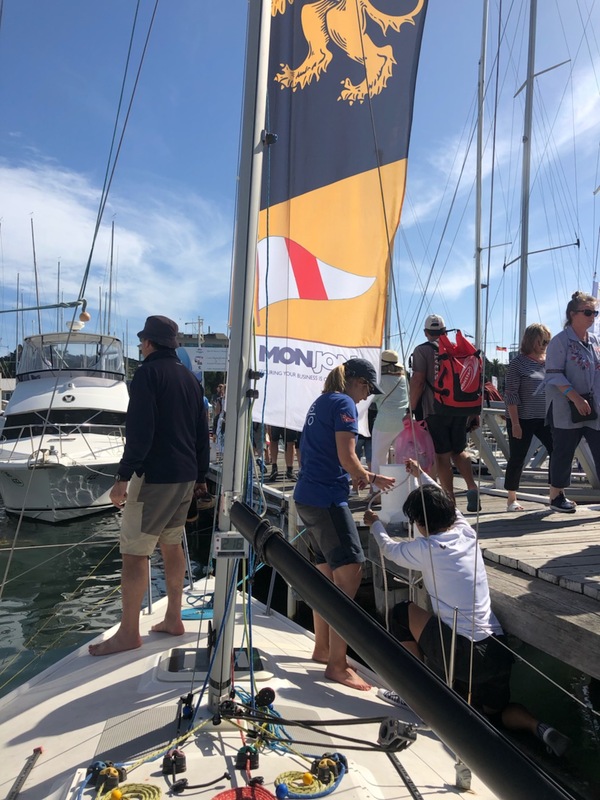 Today’s heats, 7 & 8 were sailed in perfect Port Philip Bay sailing conditions, a 10 to 15 knot southeast wind matched with a flat sea and clear 28 degree temperature saw both Suda and Kirkjian win heats putting additional pressure on the front three boats. Doug McGain and Hugo Ottaway consolidated their positions with two seconds for Doug and two thirds for Hugo. Sean Wallis had his worst day so far with an 8th and 4th, however with the one race drop system now achieved after six races completed, Wallis is still able to hold second. Both McGain and Wallis need top eight positions tomorrow to secure their hold on first and second anything worse could see Ottaway and Suda with a win, move into the lead. 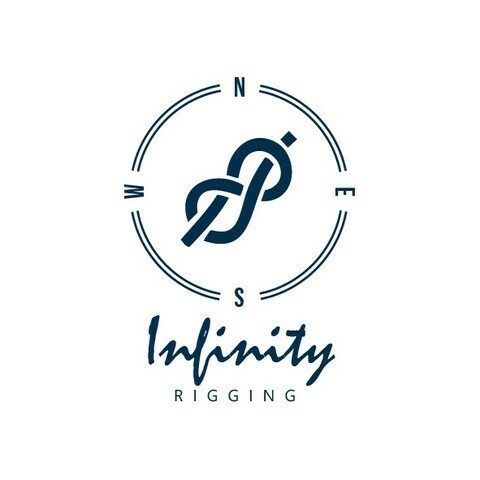 The game now changes with “Hunting” a practice where the lead boats race only against each other ignoring the rest of the fleet. This practice is risky as a boat in Kirkjian’s position can slip unnoticed into a race winning position and leap frog into third. 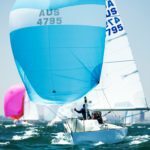 With a change in weather conditions forecasting lighter winds, the final results in the Australian J24 Championships might be very interesting. It’s rumoured that Dougie McGain must have gone home after the first day and written lines – ‘I must not go right, I must not go right, I must not go right, I must not go right, I must not go right, I must go left’. And clearly it worked because he came back with a vengeance yesterday, he didn’t go right at all, just banged the left corner every time and came home with 3 bullets. Of course 3 wins helps every time and he has moved up the leader board from fifth to second. Sean Wallis had an almost equally consistent day with two seconds and a third and still holds a 9 point lead from Doug on current points score without the drop. 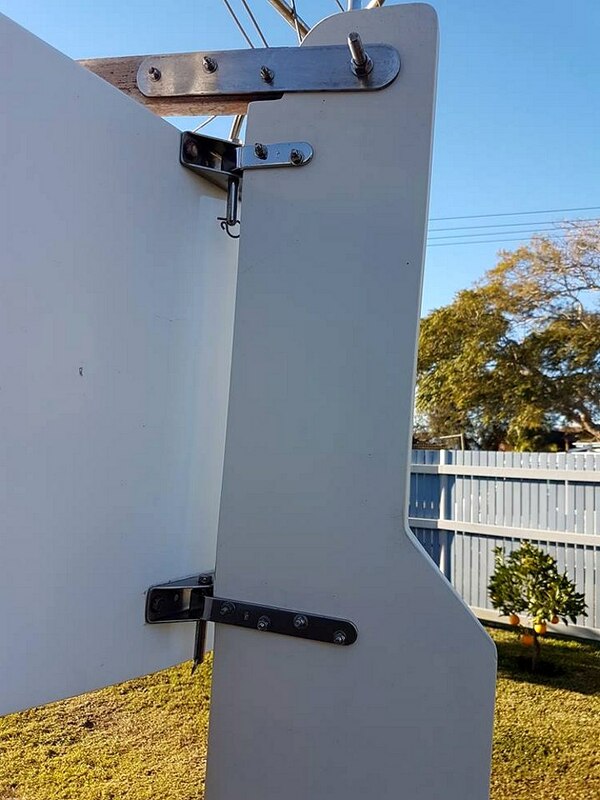 A pretty clear picture you might think, but look again. Factoring in the drop changes the picture dramatically and gives Doug the chance to win if he gets another clean sweep. This means that the Wetty Gripper guys will need to stay sharp and get another win or two if they want to take the trophy home. If Sean continues his current consistence he should just win the championship although some poorer placings than thirds and wins by Doug will make the points table as tight as Sean is likely to get after the presentation. Doug already has his drop with a 10th in the first race so he has nothing up his sleeve there and can’t afford another bad one, Sean is dropping a 3rd at this stage so has a little margin for error. 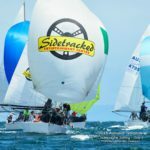 If Doug does have another bad one he risks having a battle for second with David Suda and Hugo Ottaway and both these skippers still have the chance of being the bridesmaid this year if they can keep their noses clean and stay in contention for race wins or a second placings in the next 4 races. The battle of the Seans is now a fizzer, with Sean Kirkjian although putting in some good performances yesterday now being 13 points behind allowing for the drop at this point. He will have to work hard and bring in some good finishes to get the money as he also already has a drop in his current results. Dave and Hugo can afford to have a bad one and still be in the race for 2nd and third. Once again the ‘Hyper Girls’ are doing well, currently lying 6th although they have a 12 point gap off the back of Starpac. 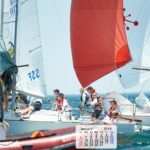 The weather for the last two racing days looks good with forecast winds under 20 knots on both days and mostly sunny skies. 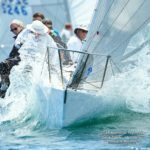 Temperatures on Friday are forecast to get into the mid 30s so it will be a hot finish to a hot regatta. 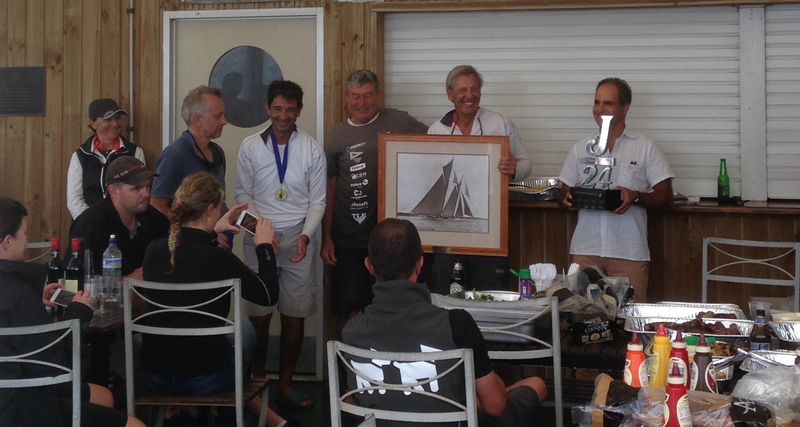 The AGM was held at the SYC on Sunday afternoon with a very good turnout of around over 60 competitors. 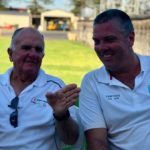 The current executive was returned and the meeting received proposals for next season’s Nationals and NSW regattas from Terry Wise. You can read the President’s report on the Presidents’ Message page of this site. 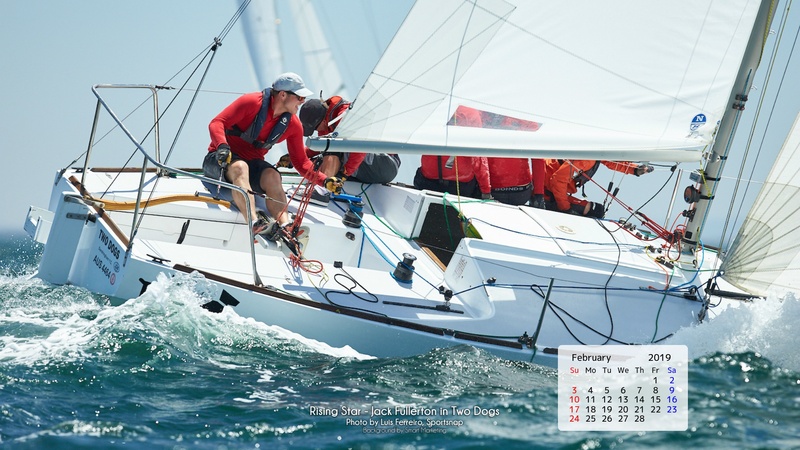 Sean Wallis in Wetty Gripper from Perth leads day one of the 2010 J24 National Championships being held at Sandringham Yacht Club in Melbourne this week. 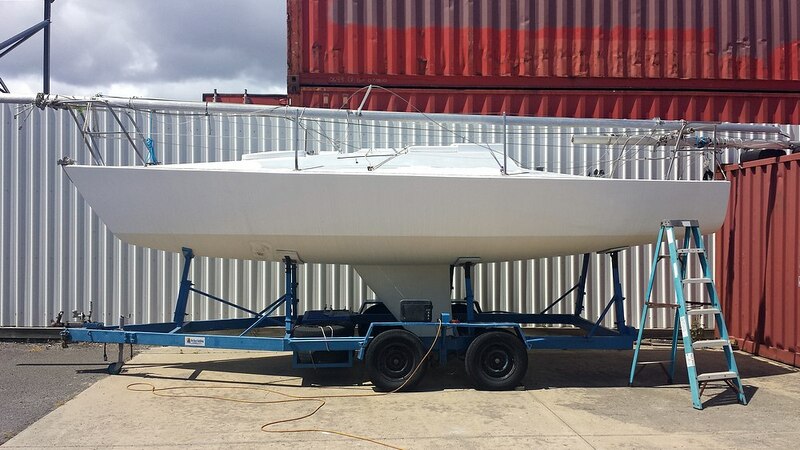 Melbourne really turned on the glamour weather with a 10 knot southerly and flat water. 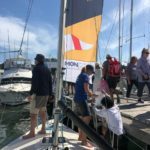 Bright sunny skies and warm temperatures meant competitors enjoyed great Port Phillip sailing. The quality of the racing is obvious with the first five places being held by five previous national champions after 3 races today. Third place is held down by another Sandringham sailor David Suda in Pacemaker with a 2nd’ 3rd and 5th. The battle of the Seans didn’t go head to head today with Sean Kirkjian finishing fourth for the day after a 4th and two 6s. Doug McGain had an up and down day to finish in 5th. Racing is incredibly close with the leaders and the pack all within seconds of each other. 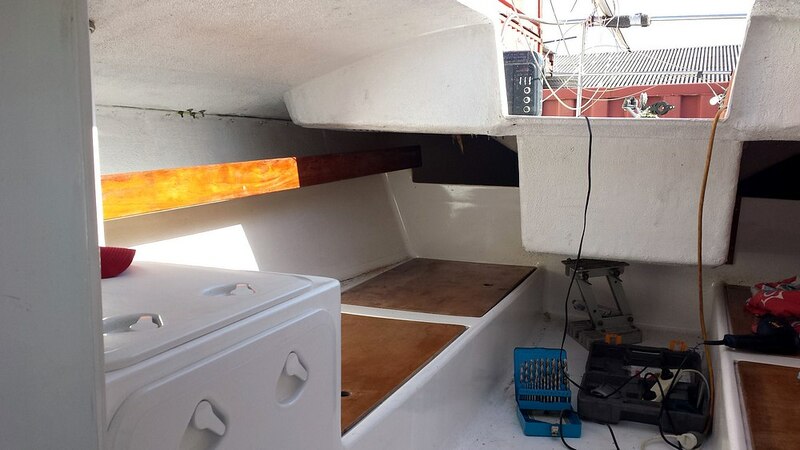 The close racing and high standard of racing means some of the sailors expecting to be in the top bunch find themselves nearer the back. 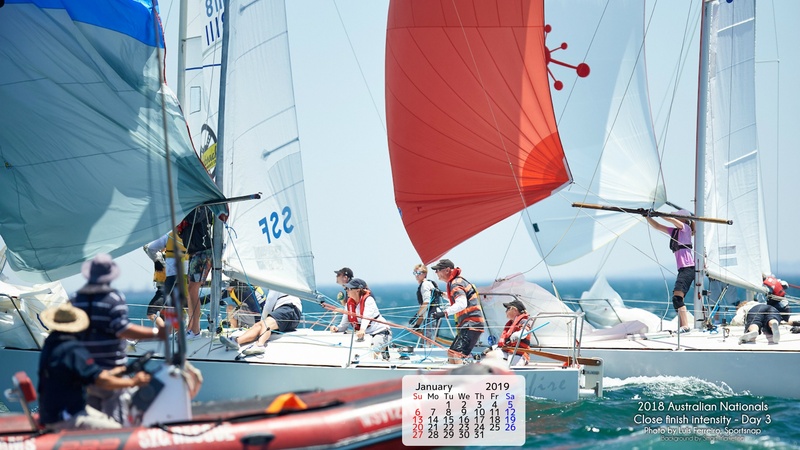 This season’s 2010 J24 Nationals at Sandringham Yacht Club in Melbourne is shaping up for a number of monumental battles. 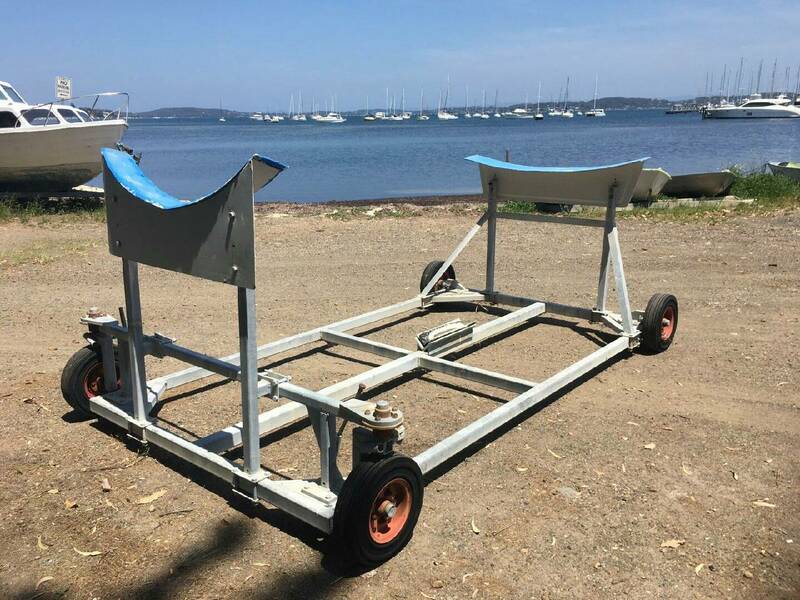 In the last 6 years, this has been a battle of the Sean’s, with 5 wins between them, 3 to Sean Kirkjian and 2 to Sean Wallis, interestingly all in different boats. Sean Kirkjian will be sailing Starpac and needs very little introduction to many in the sailing world, based out of Sydney he has achieved notable success in not only J24s in Australia in State and National Championships and in world championships, but also earlier in dinghies and in recent years helming or crewing on big boats such as Shogun, Yendys and Ragamuffin and is one of the youngest skippers every to sail in the Sydney Hobart. 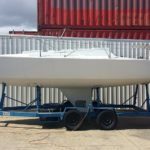 He has also won the 07 Sydney 32 One Design Championship and competed in Sydney 38s. 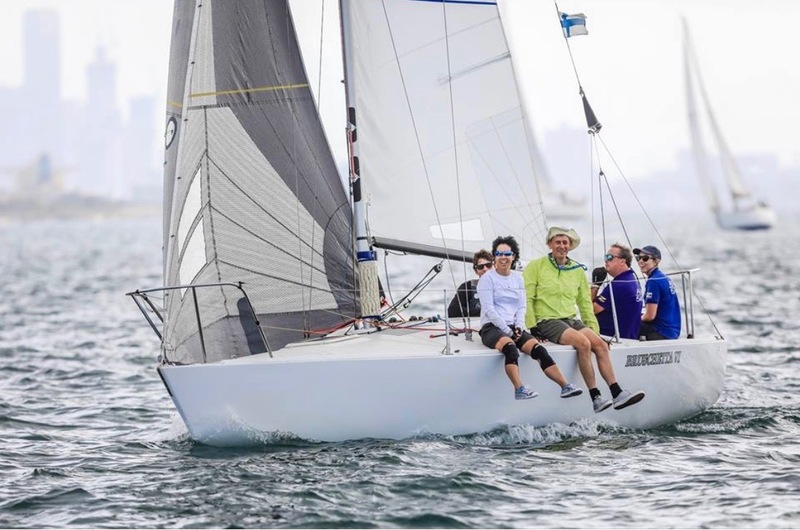 Sean Wallis from Perth and his team sailing Wetty Gripper sailed a brilliant regatta to win the 2009 National Championships last season in Adelaide and then followed that up with a resounding win in the first J24 Asia – Pacific Championship, also held in Adelaide in June 09. Previous to these wins Sean won the 06 Nationals in Melbourne. 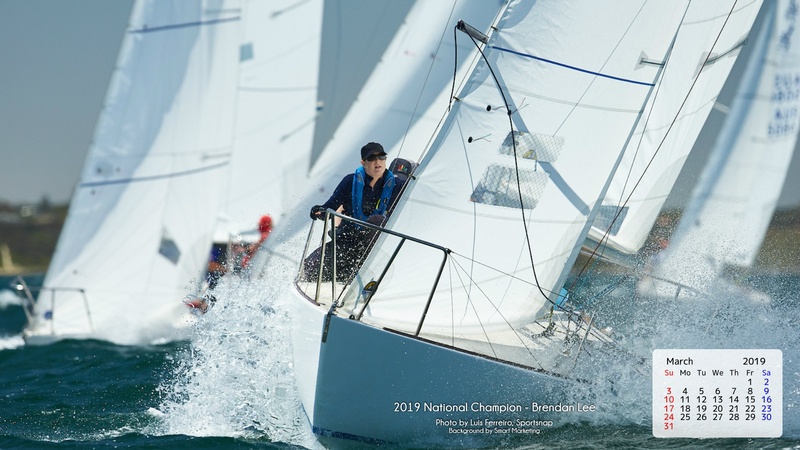 Sean’s sailing career started early both crewing and skippering International Cadets, winning an SA state championship. He then moved to 420s and Sharpies. 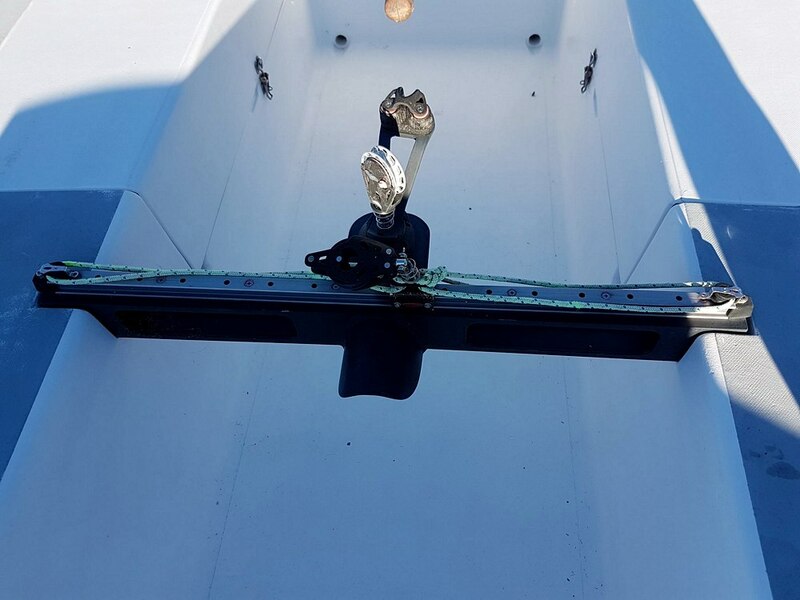 He tried golf for a few years, but found he liked sailing better. 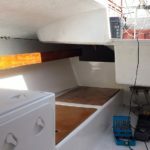 In 1997 he had his first opportunity to sail a J24 and was hooked back in to sailing and the J24 in particular. 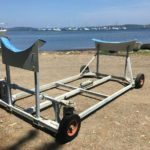 In 1999 he was offered an opportunity to sail at the J24 nationals in Lake Macquarie and hasn’t looked back since then. 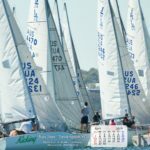 He now finds himself doing his 11th consecutive J24 Nationals. 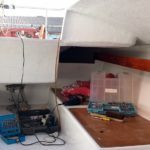 Sean is also very much involved in Radio Sailing in Perth. 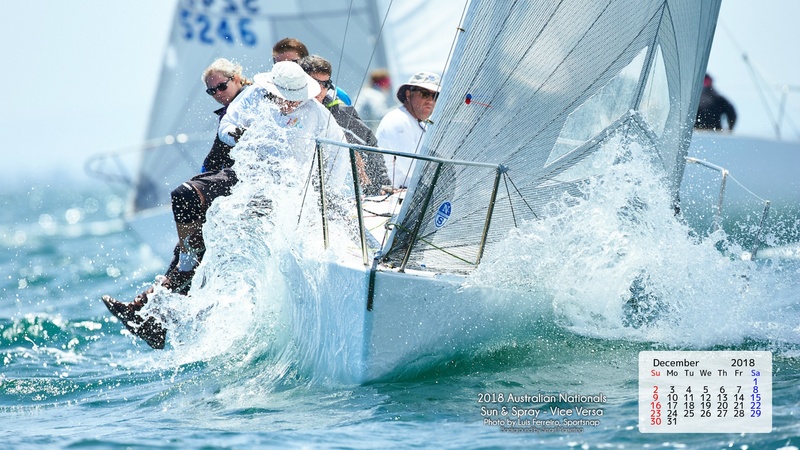 Both helmsmen will be out to win the nationals this season, Wallis going for his third title and the defending champion, Kirkjian to establish a dominant position in the J24 Roll of Honour. This is the hard to pick battle, both are very good in strong sea breeze conditions, which Melbourne is likely to turn on. 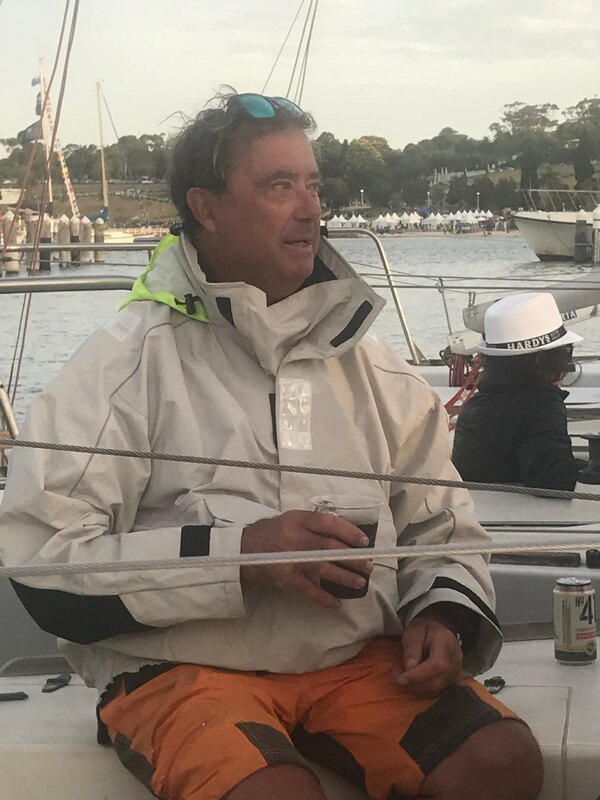 The other name that turns up twice since 2003 as a winning helmsman is Doug McGain sailing Code Violation from Sydney. 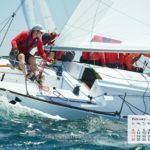 Fresh from winning the NSW State titles in November, Doug is a no-nonsense, relentless skipper who is also very much in the fight for this season’s title. Melbourne’s only previous Nationals winning skipper to be sailing this regatta is Hugo Ottaway, known colloquially in Melbourne as “Mr J24”, Hugo is a awesomely consistent skipper with a strong showing in all weathers, his boat “Vice Versa” has been totally renovated recently with the one aim – to win and go to the worlds. Look out ! 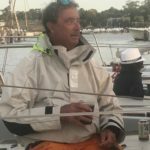 But these guys won’t have it all their own way, also from Melbourne is David Suda sailing Pacemaker who is also very capable of winning this regatta. 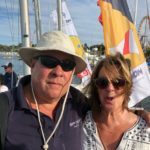 The Pacemaker crew has been together for years and have put in a huge amount of training in all weathers especially the strong sea breezes and are a force to be reckoned with on their home ground. 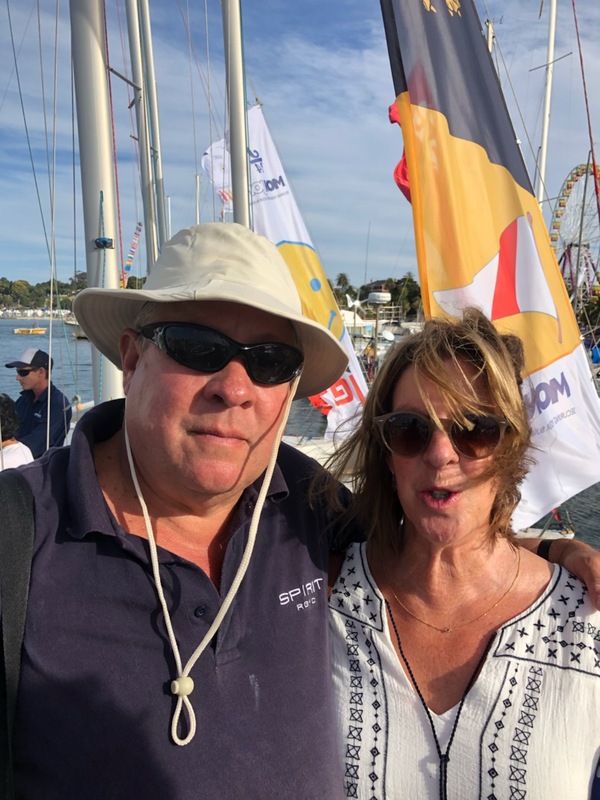 Also coming from Adelaide, are Alan Stevenson and Peter Stevens, and whilst not expected to win the regatta they are both very good in the similar Adelaide conditions and should be close to the podium if not giving the favoured boats a nasty surprise. 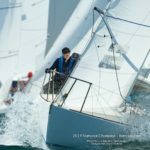 The sailing Instructions for the 2010 Nationals are now available as a PDF download from the Nationals page. Entry is now open for the 2010 Nationals. 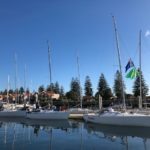 Entry is done online by clicking on the link on the Nationals page to the Top Yacht Online Entry System as used by Sandringham Yacht Club. This system allows you to enter, change your details and pay online. 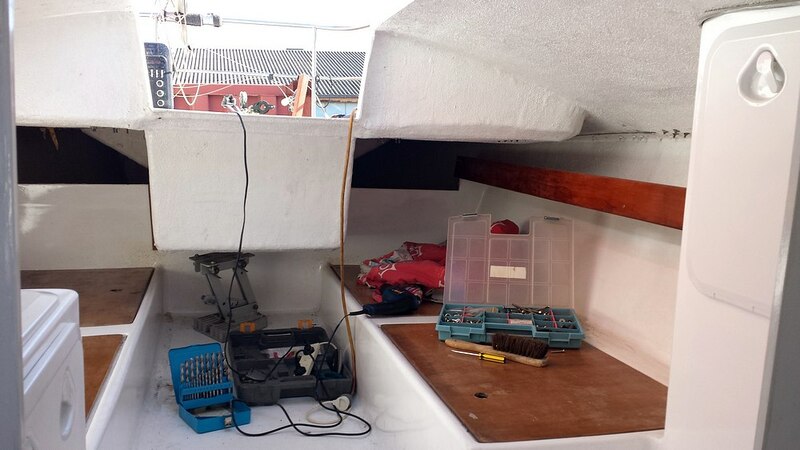 Paperwork requirements for Insurance Certificates, Measurement Certificates and Measurement Compliance Certificates, Cat 6 Certificates and any other paperwork required will be done separately. You may be contacted by SYC and asked to fax these to the club, or if not, you will be required to supply these at registration on 2/3 January. 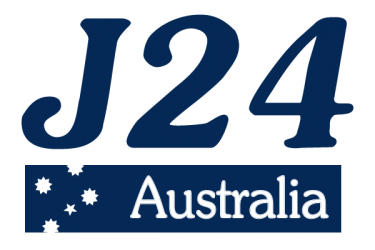 There is also a link on the home page of the SYC site, look for a J24 button at the bottom right of the page. 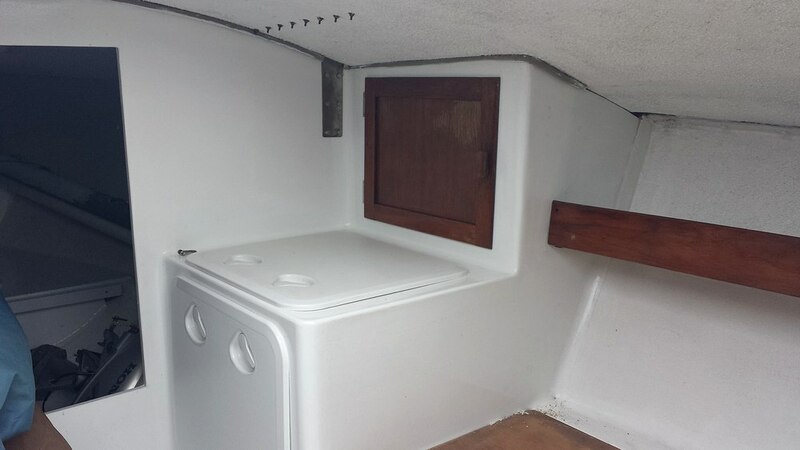 Save money on your regatta souvenirs. 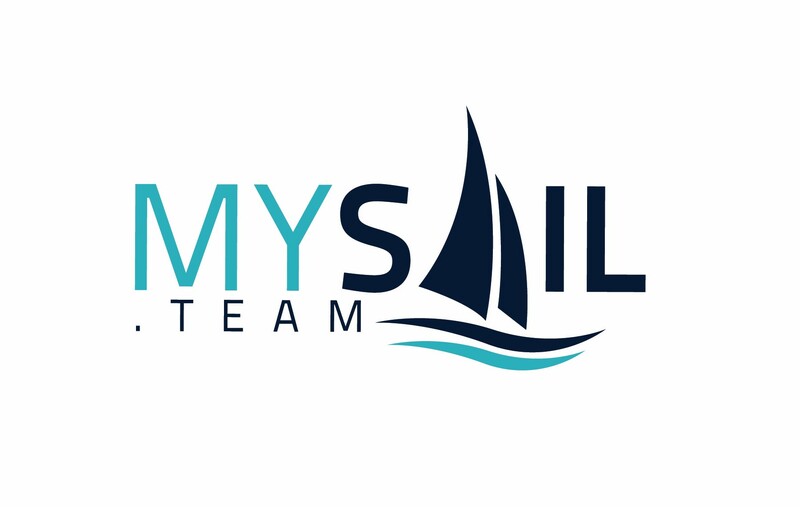 Vests, shirts, hats and stubby holders are being produced with a striking regatta logo for you. If you pre-order your requirements now you will save 10% on your purchase. This helps us gauge the demand and enable us to have enough stock on hand without wastage. Click here to go to the Apparel page. Last night’s national Skype hookup, with representatives from NSW, SA and VIC online, made some far reaching decisions on the class future over the next 12 months. 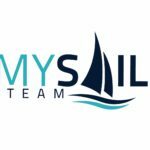 Expect to see a much higher class profile in the very near future with a major promotional campaign coming on Sail-World.com, Australia’s leading and one of the world’s leading online sailing news sites. 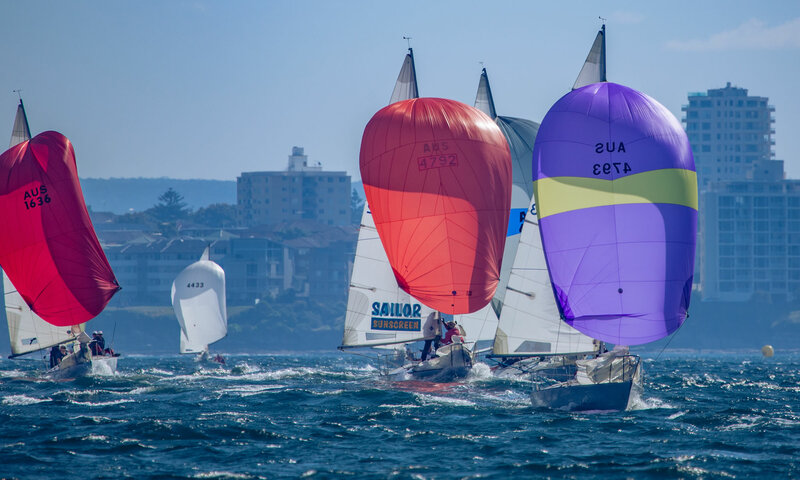 Amongst a higher coverage of J24 events and news the campaign will be celebrating the class position as the birthplace of many keelboat sailing legends here in Australia and overseas culminating in a major event, “The Legends Regatta” to be held at Gosford on 2nd – 4th October 2010. 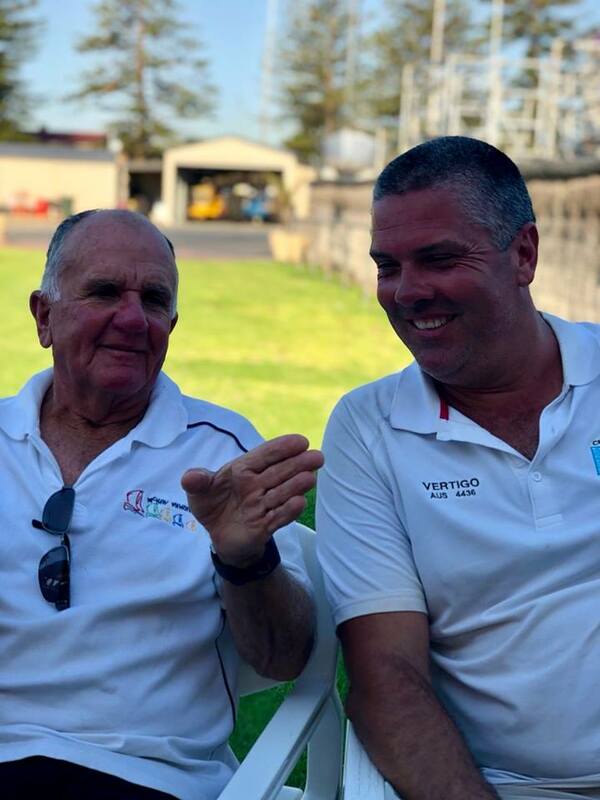 Already we have significant interest from many Australian Sailing Legends, names you will already know well but not realised their involvement in the class in past years. This site will soon begin a series of Legends features to profile these amazing people.